When: Thu., April 25, 6-7 p.m.
About The Echo Maker... One winter night on a lonely Nebraska road, the lives of a brother and sister are irrevocably altered by a near-fatal accident. When a famous neurologist explores brother Mark's brain disorder, his whole world turns upside down. Set against the Platte River's inimitable spring spectacle - the migration of Sandhill cranes - The Echo Maker is a thrilling mystery that questions the human self and its dependence on the brain, which can split us from the people we love while re-connecting us to a new reality. 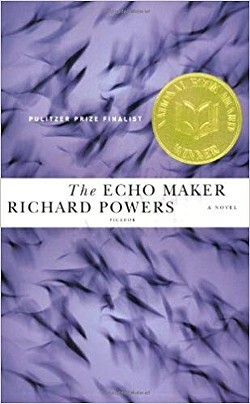 Powers won the National Book Award for this book.